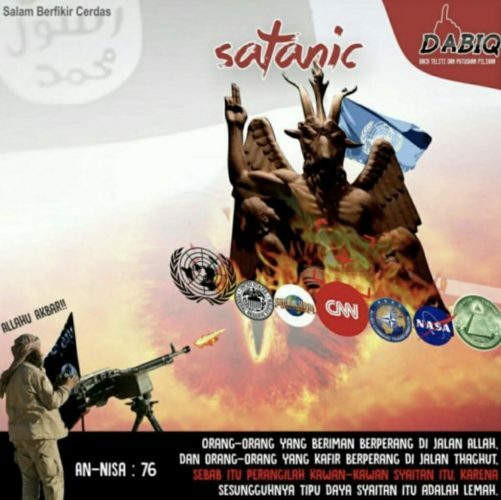 ISIS threatened “satanic” CNN and NASA and the United Nations in a new poster campaign. The poster has a picture of an ISIS fighter firing on CNN and others with the words ‘Allahu Akbar’ written over the Islamic state fighter. The poster also features the goat-headed Satan statue.